Yusuf Abdul Mateen – Professor A.L.I. 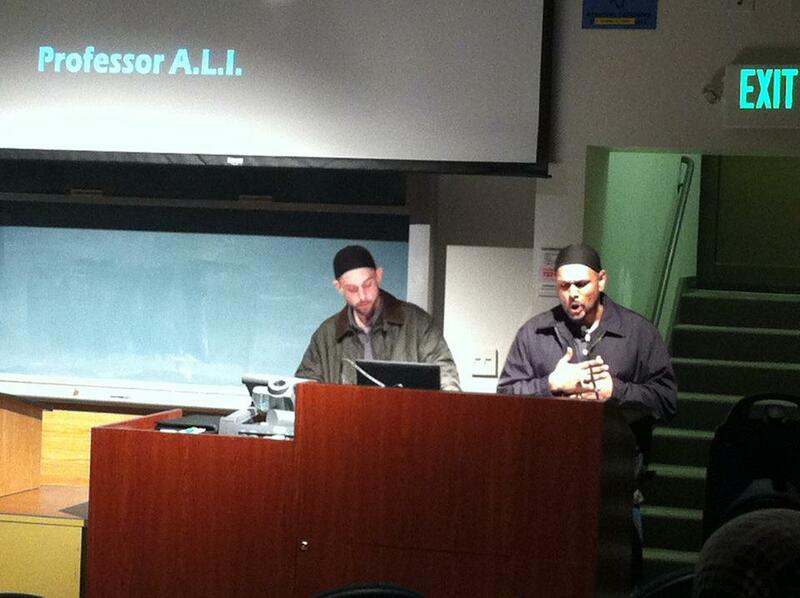 Lamentation of the Hip-Hop Poet: Occupy Oakland & Free Bahrain by Professor A.L.I. The lamentation of the B-Boy, the MC, DJ, and Graffiti artist seem like they are now, at this moment, one in the same. They lament in spite of and amidst the crocodile tears of mainstream media that Hip-Hop is dead. The forefathers of Hip-Hop turn in their graves, while those who helped make it erudite become vengeful ghosts, not holograms. “Hip Hop Is Dead” becomes an old slogan at a time where every minute there is a new trend. Social media heads, the spinsters and tweeters prey upon that phrase like its a tired old saying, like it was printed on the back of faded stickers on rusty bumpers of dated hoopties and try to come up with even wittier new phrases like Hip-Hop has reincarnated or Hip-Hop has emigrated… to get a retweet or a like, to validate their egos, all the while, Hip-Hop lives. Thats the lamentation. The term Hip-Hop has been co-opted. One can emulate and market the clothes, the beats, the samples, emulate the moves, and even instagram ones way into the latest trend with a picture of graffiti, but its all form, no substance. The substance of hip-hop cannot be misappropriated because Hip-Hop is the shadow, it lives in basements and exists as an impression left by those who are voiceless in a world where oppression exists. The independent artist, not the sensationalized “unsigned hype” that pays for ad space on Hip-Hop rags… but the true independent artist, the griot, continues to write in their pad, spit rhymes to the beats made in the environment, to the pulse of the earth. It is my goal, as an artist to cultivate that energy, that genuine love for the art, hearkening back to the lost art of telling real stories–not to be gimmicky but to capture what is happening here and now for our own posterity in a voice that they will understand and with a passion, so that they understand our angst and help them revisit our hope that these events do not continue to cycle forward but that a solutions are presented so that the oppression that we document does not ever happen again in any way shape or form towards any person. While I was making my latest album Emerald Manifesto, two events shook my life. One half a world away, the other less than half an hour. First was the genocide in Bahrain, and second was Occupy Oakland. The second was Occupy Oakland–I was not an active participant of Occupy Oakland, but I was out there on several occasions, including when the police first decided to round up everyone at 5 A.M. and kick people out of Frank Ogawa Plaza. I was there when like a parade, officers from districts all the way from Fremont showed up, in new police vehicles, with, batons, tasters, guns, tear gas canisters, and riot gear. I watched as University of California at Berkeley Police joined the ranks, and I watched and was pushed and prodded to the other side of Broadway. Making my way on foot to a ride that was waiting for me, reflecting on the incident, I pulled out my iPhone and began to type away. I lament that these things are happening like my fellow MC’s, DJ’s, Graffiti artists, and B-Boys in this day and age, and create like they do to capture in art, in the voice that is Hip-Hop the story of what is happening, only to be told that “Hip Hop is Dead”. 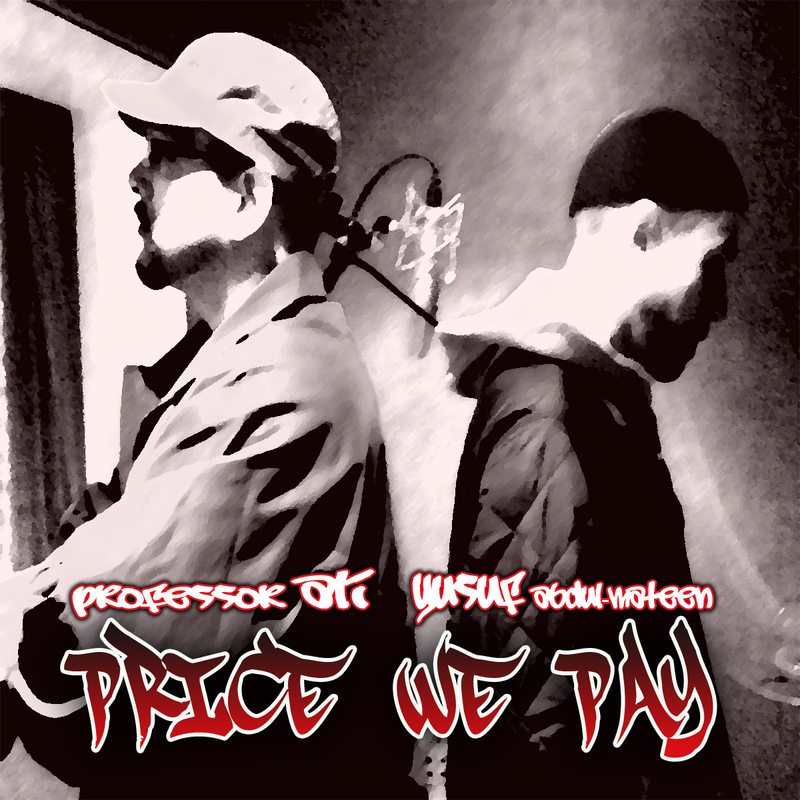 Feel what you want about Hip-Hop but the lives of the human beings in Bahrain and Oakland, are connected in a way, because mainstream media did not and does not depict what is truly happening. You want to be “hip” to what is really going on? You want to be part of a movement? Then, please “hop” on this grassroots train as it navigates through the shadows of a tunnel which leads towards the light of equity and equality, in a world of justice, balance and PEACE. Is the price we pay worth it? Do the math–the meek shall inherit at last! This piece was dedicated to the innocents whose blood has been spilt in Bahrain and throughout the world simply because the chose to believe in and model their lives after those who similarly were martyred because they spoke out against oppression.